FOX’s X-Men movies have a somewhat hit or miss history with iconic Marvel storylines. Sometimes they get them right, while other times they find themselves way off the mark. Luckily for the studio, the newly rebooted timeline offers chances for them to correct errors of the past – and it seems that’s exactly what they intend to do. New rumors seem to indicate that FOX will use Sophie Turner’s Jean Grey for an adaptation of The Dark Phoenix Saga following the events of X-Men: Apocalypse. This rumor comes to us courtesy of Heroic Hollywood. During a recent episode of Scoop Drop, it came forth that FOX may in fact attempt to once again try The Dark Phoenix Saga, and that the events of Apocalypse will lead to that storyline. 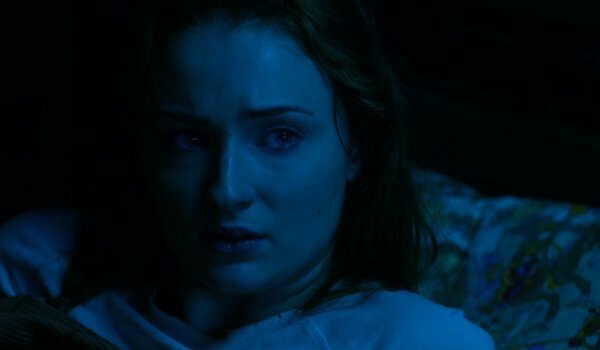 The episode also cites quotes from director Bryan Singer, who recently alluded to something dark and malicious growing inside of Sophie Turner’s young Jean Grey. It’s not much to go on, but if it’s true it will see one of the X-Men’s most iconic storylines brought to life on the silver screen. The Dark Phoenix Saga has become iconic as one of the most infamous X-Men stories of all time, if not one of the most legendary arcs in all of comics. Centering on X-Men member Jean Grey, the storyline sees her possessed by a malevolent entity known as the Phoenix Force. The possession turns her against her former teammates and develops her into one of the most powerful enemies ever faced by Charles Xavier’s squad of mutants. FOX previously attempted the storyline all the way back in 2006 with the laughably bad X-Men: The Last Stand, but as most fans have generally reviled that film as hands down the weakest of the entire X-Men franchise, so it’s best left forgotten. For the X-Men franchise to return to The Dark Phoenix Saga logically makes sense. Although the timeline reset with the events of X-Men: Days of Future Past, it doesn’t change the fact that Jean Grey as a character always had something sinister inside of her. This provides an opportunity for FOX to once again broach the iconic storyline while making important deviations from what didn’t work in The Last Stand. If FOX does indeed decide that they want to do The Dark Phoenix Saga again, then we are completely on board. However, we won’t know for sure if that’s the direction they will go with the story until X-Men: Apocalypse hits theaters on May 27. Keep your fingers firmly crossed, Marvel fans; I know I certainly will.